At Herrick Dental P.C. we try to make your visit as pleasant and stress-free as possible. Once you come in, you'll wonder why you waited so long to come in. The hardest part of any treatment is taking the first step and making an appointment, so pick up the phone and dial 515-233-3778, or contact us and see what we can do to keep you smiling. 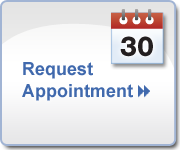 To make your appointment time more productive, you may download our new patient and history forms, fill them out at your convenience, and bring them with you to your appointment.